Probably one of the most popular Engineering Plastic Materials. A very versatile engineering plastic that has many advantages, namely acid resistance, light weight with high impact resistance. 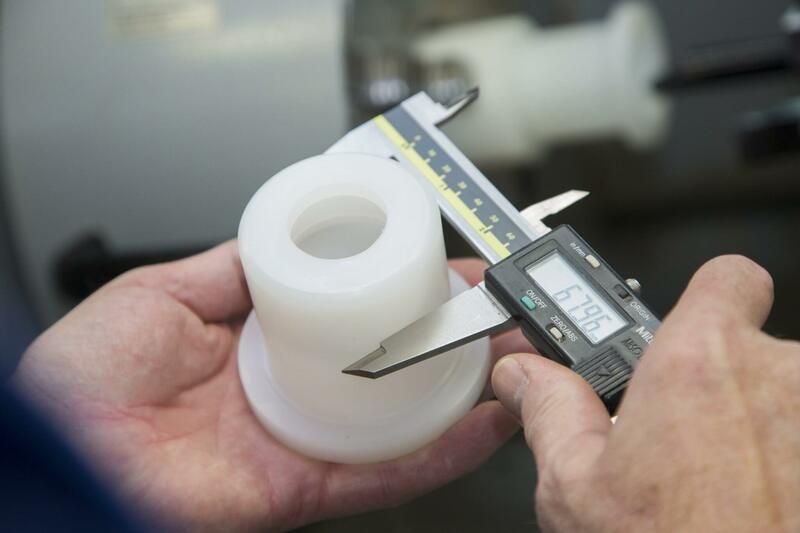 Polypropylene has a relatively slippery surface which can make it a possible substitute for plastics like Acetal (POM) in low friction applications like gears or for use as a contact point for furniture. Perhaps a negative aspect of this quality is that it can be difficult to bond Polypropylene to other surfaces (i.e. it does not adhere well to certain glues that work fine with other plastics and sometimes has to be welded in the event that forming a joint is required). Polypropylene is widely used as sheet stock for CNC machine manufacturing. When we prototype a small number of polypropylene parts we typically CNC machine them. Polypropylene has gained a reputation as a material that cannot be machined. This is because it has a low annealing temperature, which means that it starts to deform under heat. Because it is a very soft material in general, it requires an extremely high skill level to be cut with precision. Important properties for polypropylene are as follows. In conclusion Polypropylene has many uses, typical uses are as follows.